I love The Dot. International Dot Day is September 15ish. I love the story and the idea behind Dot day. If you haven't checked it out yet, I highly recommend it! Last year my students just made dots. It was my first couple of months in the STEAM Lab, and it was my first real art project. It went well, but this year I decided to change it up a bit. My upper elementary students made STEAM Dots. 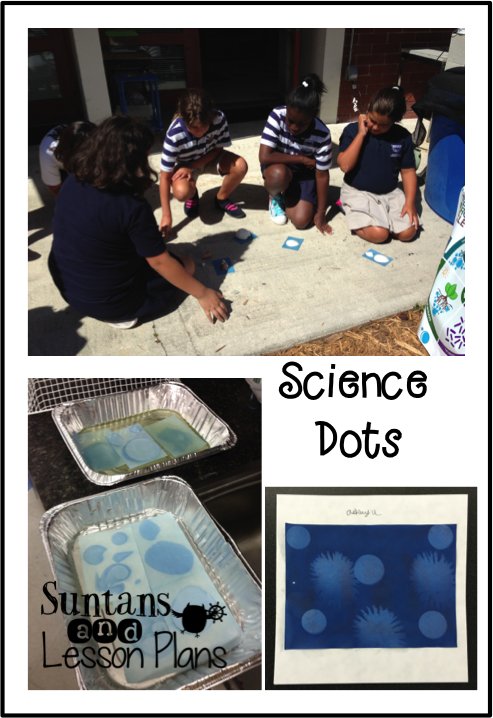 The science dots were made using sun prints. The students got to find an object that would leave a "dot" shadow. Once in water the students were amazed as the colors set. This was a big hit! I have more sun print paper left over and will definitely use it again for another project later in the year. It would be a great art connection after studying our WeatherSTEM station's UV sensor. I love colAR. I let all my 375+ students make one of these dots. 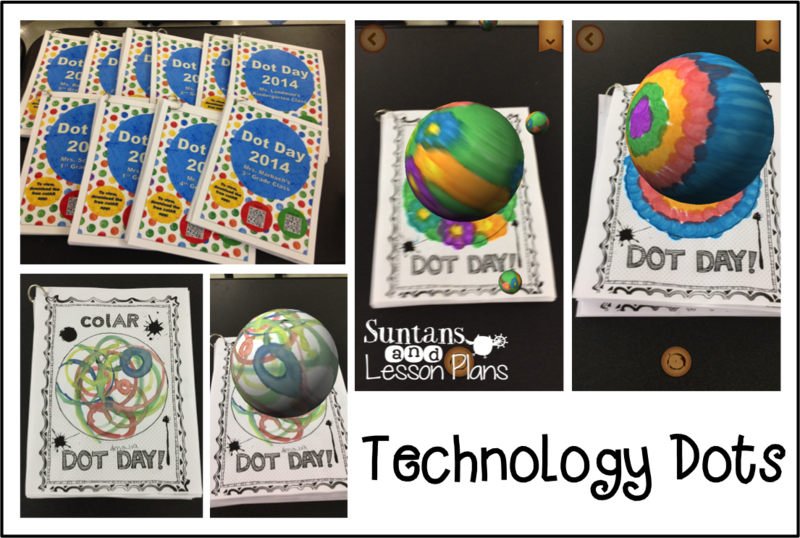 They each got to see their dot come to life using the app. I compiled each class' dots into a book that I posted in the hallway. Augmented reality still amazes me! For engineering dots, I was inspired by these 3D color wheels. I wasn't picky on the colors used, but I liked the idea of students figuring out how to transform 4 paper plates into a 3D shape. Other students chose to use this printable soccer ball template to create a paper ball dot. Both were a litle challenging, but worked well. For art dots, I left out crayons, markers, texture plates, and tempera paint. They had lots of options, but most of my artist prefer paint. I had a number of Jason Pollock inspired dots. Math was the area I had the hardest time to figure out. 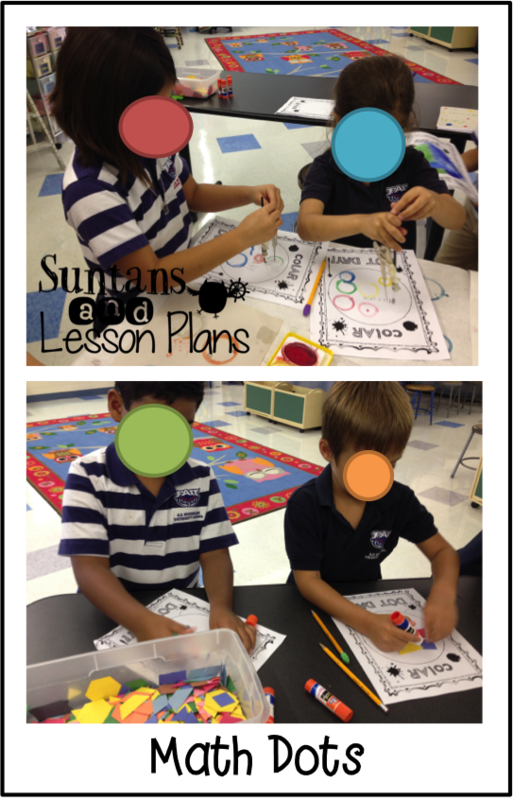 I brainstormed and I provided students with die cut pattern blocks. Some students used the blocks to create dots. 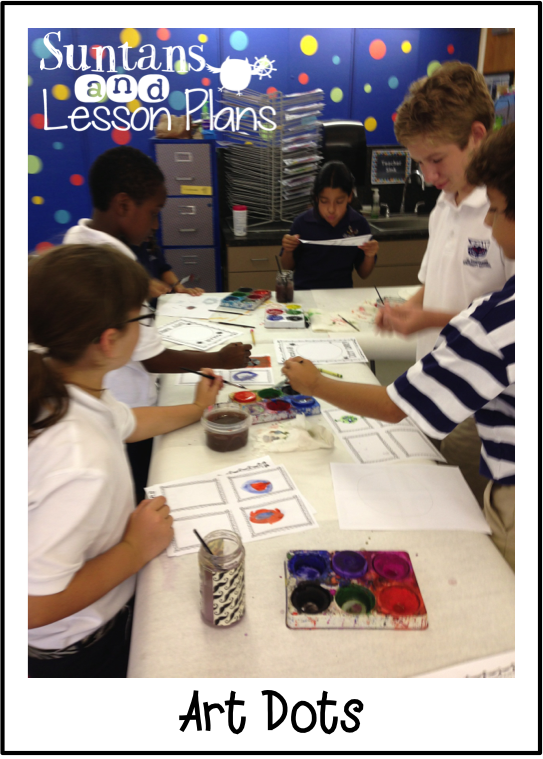 The more popular math dot was compass painting. My 3-5 students all made a technology dot and then got to choose one other dot to make. I'd planned to do the same with some of the younger grades but after making the colAR dots, I decided it was too much. Instead I opted to try something else. 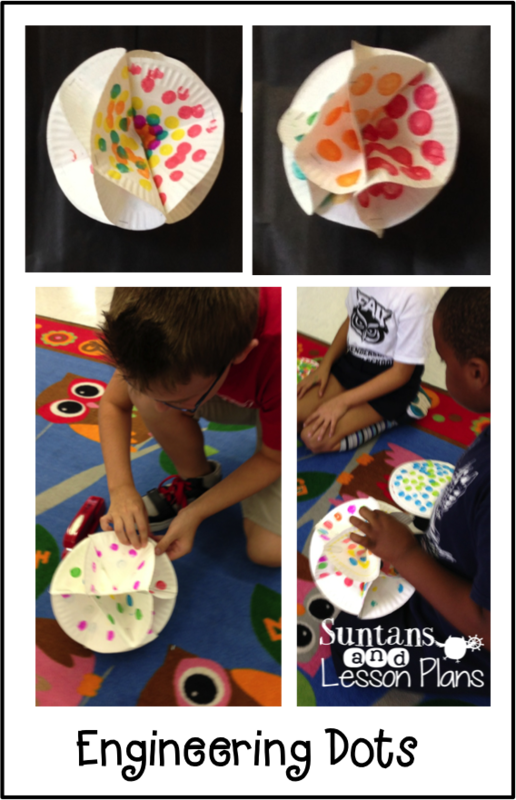 My K-2 students made these coffee filter dots. I really enjoyed the project and the finished results. 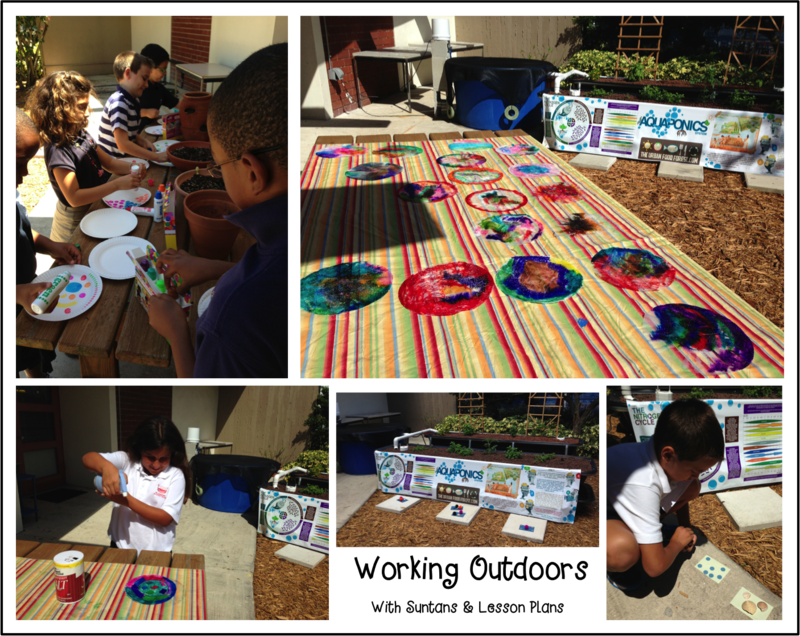 My favorite part of out Dot Day celebrations this year was having the kids work outside. We've really worked on our outdoor learning space. I love opening my back door and having students work on the patio. So, the post might be a little late-ish, but there you have it!